Get your gifting on! Honoured to be featured in this holidays most stylish gift guide in the WSJ. Love seeing our bright blue Tiger rug in this beautiful and bold constructivist wallpaper spread. Thank you Interior Design Magazine for including our new Modern collection in your latest issue. Read about who we are, how we work, and how the beautiful architecture of Stockholm inspired our designs. These are our plushest rugs yet! Our cut-pile rugs are hand made with 100% New Zealand wool for great quality and a soft feel. The design is inspired by the classic elegance of mid century art and design. Comes in 3 designs and several different colours. Very pleased to be featured on Architectural Digest amongst some other great up and coming designers who are also exhibiting at the AD Design show this year. It's March 16-19 on pier 92 & 94, come see us in booth 333. ...our rugs, that's what's hot! We are very proud to have our Tiger rug featured in the 'What's Hot' list in the 2017 Jan/Feb issue of Elle Decor. It's out in news stands now. Go get it! Happy to see our Nordic Knots Pink Stripes Rug being picked for the Black Friday Wish List. 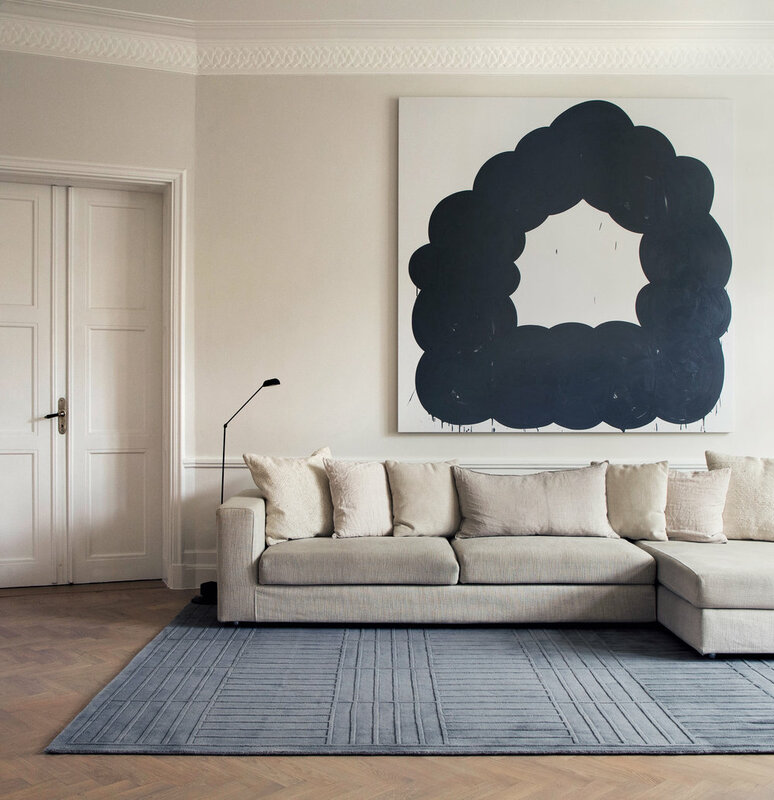 We love seeing our rugs in beautiful homes. This home belongs to a young couple in the West Village, New York. It's a great example of how our minimal classic patterns and timeless color-ways are a great complement to modern furniture and contemporary art. We love summer and in the summer we love south of Sweden where the water is cool, the sky has that perfect shade of blue and shoes are made of wood. Woven by hand in India with 100% New Zeeland wool for a durable quality and soft feel. We really appreciate the warm response since our launch. We will do everything we can to get the rugs to you all as soon as possible. Thank you! Below you can see some recent photos from a beautiful home by the sea in Saltsjöbaden, Stockholm. We are excited to tell you that we are now open for preorders. We have a limited number of rugs for sale in on our first batch so dont wait to long. The delivey time is an approximate since they are all handmade.